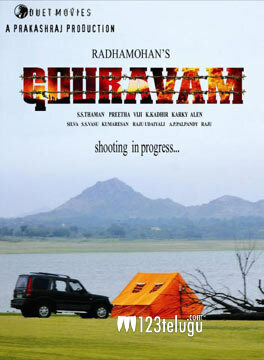 Allu Sirish, Yami Gautham starrer Gouravam is currently being shot in Pollachi. Radha Mohan is directing this bilingual film and Prakash Raj is producing it on Duet Movies banner. More than 50% of the film has already been completed and the entire film’s shooting will be wrapped up in two more schedules. Recently, the film was extensively shot in and around Rajahmundry and after the latest schedule in Pollachi, the film unit will head to Kanyakumari. Thaman is scoring the music and Preetha is the cinematographer. The film is being touted as a social drama. More details about the film will be revealed soon.